GTI Asia Taipei Expo will soon take place. Making its debut in 1993 and having spanned one quarter of a century, this long-standing international trade show will be celebrating its 26th anniversary this year. What refreshing and astounding innovations will the event present to global professionals and which new technological applications will make their first appearance at the show? Amid the sluggish global online and offline gaming entertainment environment, online mobile games have bucked the trend to grow by leaps and bounds. Do you want to know which outstanding mobile gaming providers will participate in the show and what remarkable pieces are worth investing in and buying? 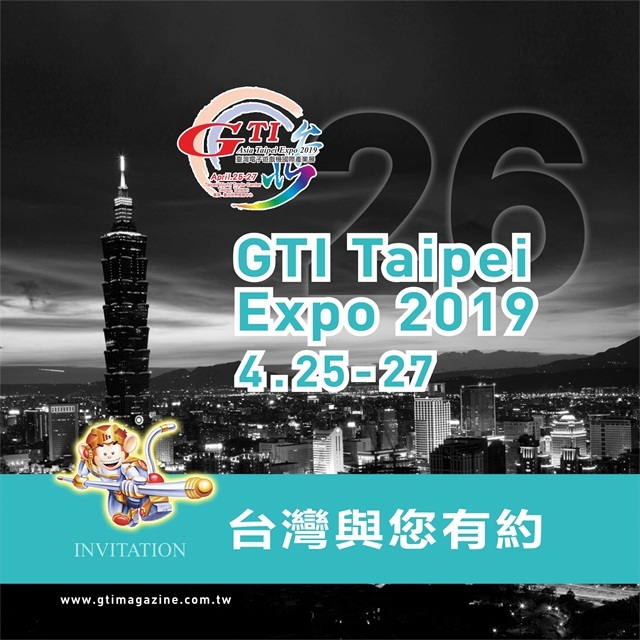 On April 25-27, we cordially invite you to visit GTI Asia Taipei Expo in Area A, Hall 1 of the Taipei World Trade Center.